Gotta be honest, the added content looks okay, other races are coming, also custom races, bladibla. Pretty much just stuff that would've come one way or another. 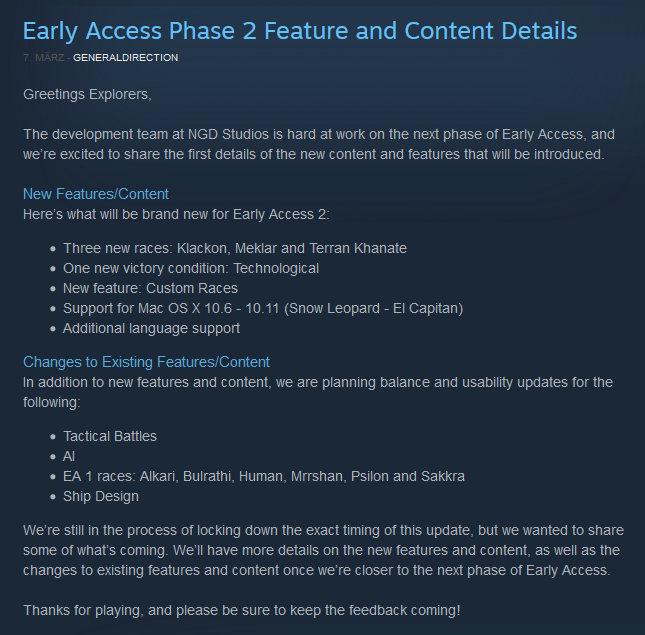 What's really interesting me is what the changes to the existing content will be in detail. I'm hoping more detailed information will be available before phase 2 starts, which I guess is slowly getting closer to be released. Edited by Peo01, 07 March 2016 - 06:46 PM. Here's to hoping that it's a solid update with a lot of good changes; I'll be reading a lot into the game's trajectory based on it.